Whether you’re looking for fresh fruit and yogurt delivery every Monday or healthy energy bars to keep your employees happy, Perkaroma has the snacks your office needs to stay on track. We even offer Automatic Restocking and Automatic Reorder programs, so you’ll never have to worry about running out of healthy snacks at the office. If you truly want to show your employees that you care about their wellbeing, consider investing in healthy food options for your employees. A healthy snack can do wonders when you hit a writing wall or when you need a break from the computer screen. 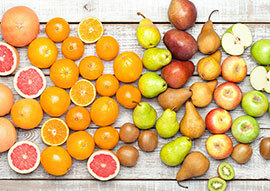 By simply eating fresh fruits and vegetables during the day, your workers can curb their hunger and improve their productivity without having to worry about that lethargic mid-afternoon energy zap. We offer all of this and much more! Click the button below to take the next step in building a better workplace with office snacks from Perkaroma! While breakrooms tend to be an overlooked feature of the workplace, your company’s breakroom can actually be counterproductive to your employees if used improperly. You read that right. The breakroom in your office is where employees come to unwind, socialize, and eat their lunch, so it’s important to set up your breakroom with things that your employees will love. If you truly want to foster a healthy environment in the workplace, it’s important to design a space that encourages both mental and physical breaks throughout the day. While you don’t need to go crazy with lavish fixtures and upgrades, investing in your breakroom is a great way to keep your employees happy and productive. At Perkaroma, we’re passionate about helping companies turn their breakrooms into comfortable and fun spaces for their employees. Our mottos is “we build a better workplace,” because we do. With more than 50 years in the office supply and breakroom restocking industry, we have the tools and experience to meet the needs of every business we work with. We can provide your business with an array of unique offerings, such as a fully managed snack program, sparkling water dispensing systems, and even cold-brew coffee on tap. Whatever your office needs may be, we can help. Get started with Perkaroma today! While it’s no secret that improved health makes people happier and more productive, investing in a healthy snack delivery service can help you keep your employees satisfied. Many studies have shown that supporting good health in the office can be a key factor in attracting top talent and retaining your high-quality workforce. By providing your employees with healthy snacks throughout the day, you’re also taking steps toward improving employee engagement, morale, and even innovation. Let’s look at some of the main benefits of investing in quality snacks for your breakroom. There’s a good reason why premium coffee is a staple in most offices across the globe. It encourages productivity and boosts happy feelings, leaving your employees feeling ready to take on the day. If you don’t already have coffee available in your breakroom, we highly recommend investing in a commercial coffee machine and all the extras (sugar, creamer, straws, etc.). 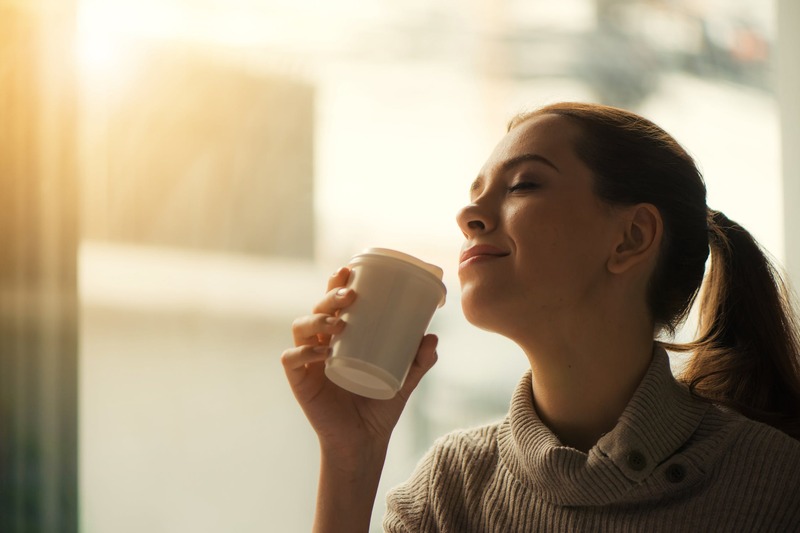 Coffee can be an extremely positive incentive for your workers, and it can also be beneficial to your company’s long-term productivity. Since caffeine increases attention spans, improves focus, and boosts mental energy, it’s a small investment to pay for such a large return. At Perkaroma, we offer a wonderful selection of single-cup coffee brewers and traditional coffee brewers to keep the vibes high in your workplace. We also offer premium name brand, locally roasted coffee, and Third Wave coffee roasters. There are recent studies that suggest that foods high in trans fats can take a serious and long-term toll on concentration, memory, and sharpness. On the other hand, foods that are rich in antioxidants, proteins, and B vitamins tend to provide incredible support for cognition, memory, and concentration. When you provide your employees with healthy snacks, you are also nurturing your staff’s mental capabilities. Has the morale in your office been low? Are you looking for a way to improve the mood around the office? Providing your staff with high quality foods and snacks is a great way to enhance their mood and belly. According to a recent article from Lifehack, foods that are rich in nutrients like vitamin C, magnesium, B12, and folic acid can have both short and long term-impacts on a person’s mood. If your office is fast-paced and high-pressure, providing your employees with a variety of healthy office snacks will help to lift the mood around the water cooler. If we truly are what we eat, your employees will need the best nutrients to keep them focused and optimistic when challenges arise. When you invest in a healthy snack delivery service, you can keep your team sharp, alert, and feeling good. All too often in American work culture, people forget to bring their lunches to work. This results in an unnecessary trip to a fast-food chain, where they’ll spend their hard-earned money on less-than-nourishing food. If employees are especially pressed for time, they may even head over to the office vending machine to grab a chocolate bar, which will lead to a sugar crash and major energy slump shortly after consumption. At Perkaroma, we carry some of the best and most healthy office snacks on the market. Our delivery service can help your staff avoid unhealthy eating measures by providing you with a balanced range of nutritious and delicious snacks. 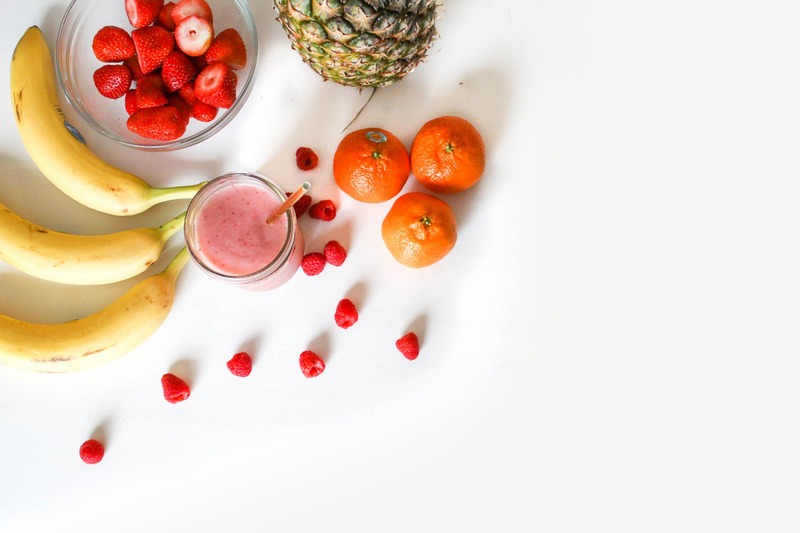 This will give your staff a variety of healthy options from which to choose, fueling their body and mind what the nutrients they need to perform your best. 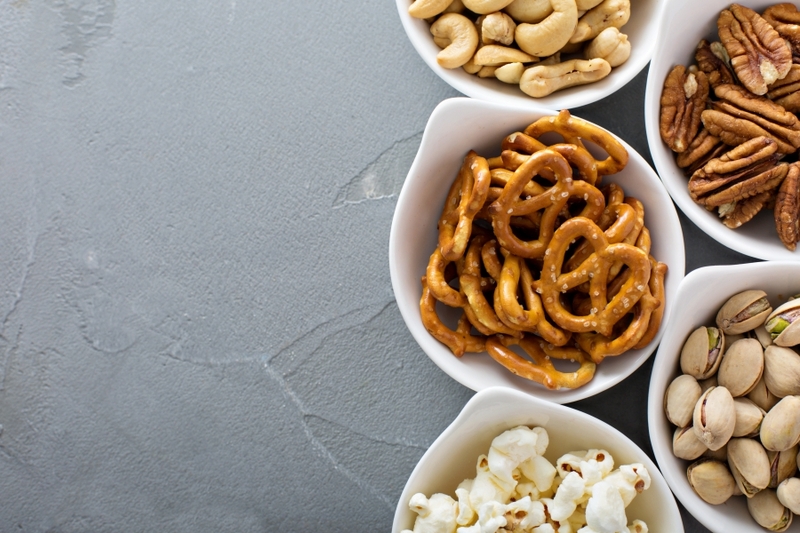 No matter what your budget is, we can help you find the best snacks for your employees. 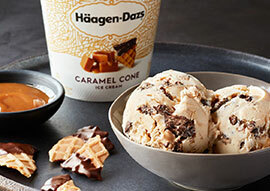 Learn more about our snack supplies or view our products online. Do your employees take long lunches outside of the office? Do you feel that these off-site restaurant visits are hindering your staff’s ability to work? When you work in an office environment that does not have snacks and beverages easily available, your employees are left with no other choice than to rely on off-site shops, coffee spots, and fast food restaurants to replenish their system. By keeping your breakroom fully stocked with healthy snacks, you can sleep easy knowing that your staff doesn’t have to venture off of the worksite when hunger strikes. If you truly want your employees to feel that you care about them and take their best interests in mind, enrolling in a breakroom delivery service is a great way to make them feel valued. By ordering a monthly supply of healthy chips, beverages, trail mixes, and more, you’re letting your staff know that their well-being matters to you. It can also contribute to a better work environment that is built on mutual trust and respect. As the recruitment of high-quality candidates grows to be more and more competitive, it’s important for companies to differentiate themselves from the crowd. 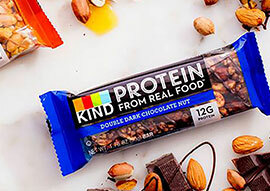 While it may be hard to believe, much of the top talent out there is looking to work at a company that offers them the best perks and benefits, which can include providing employees with healthy and delicious snacks. In fact, in a recent Forbes article, free food was listed as the number two most popular employee perk! Throughout history, humans have always shared food as a type of social ritual. When your staff eats together, it can build up and strengthen work-related interactions, and even forge friendships. When you introduce new and healthy snacks to your team, you’re also encouraging them to take a moment for themselves to bond and share food. If this isn’t a great team-building exercise, we don’t know what is! Did you know that your company can save money by investing in an automated snack delivery service? You read that right! Providing healthy snacks and beverages for your employees can actually help your bottom line. How, you ask? Let’s take a look! If your company provides health care to its employees, offering healthy office foods can actually help to reduce your health care premiums. When your team gets to enjoy the benefits of a workplace that promotes good health choices, it can be wonderful for your company over time. You’ll start to see chronic conditions easing up, and your employees will be less susceptible to winter colds and other unwanted bugs that can pull them away from the office. As you probably already know, hiring new employees can be extremely costly to your business, not to mention it can be incredibly time-consuming. Unless your company is growing at an unusually rapid pace, the recruitment process can actually impede business development. This is because revenue and work hours are redirected towards candidate screenings, interviews, and training. If you’re like most employers, you want to keep great employees for as long as you can. 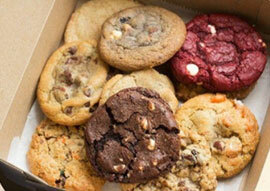 When you invest in a snack delivery service, you are helping your employees feel like a valued member of the company. Employee sick days can cost your company a boatload of money. When your employee’s health suffers, so does your business. Providing your staff with nutrient dense foods is key to keeping their immune systems in top notch conditions. This will help your staff fend off the yearly cold and flu, and can also help to prevent outbreaks in the office. Another major perk of signing up for an automated delivery program for your company is the fact that you’ll always have healthy snacks around. At Perkaroma, our programs are built on transparency and communication, and we can even help you customize your snack delivery so your employees don’t get bored with the food and beverage options. If you keep tabs on where you purchase your food, you already know that industrial agriculture has a special place in today’s economy. It’s important to note, however, that recent studies have determined that nurturing smaller farmers is a vital step towards keeping our food sources safe, diverse, and plentiful. When you opt out of ordering traditional junk food for your employees, you are exercising the power to pay homage to smaller independent farms. This not only promotes the accessibility of healthy and nutritious foods, it also keeps the economy well-balanced. If you’re looking for a snack delivery service in the New Jersey & New York area, be sure to contact the professionals at Perkaroma today. Whether you’re looking for a variety of healthy bars, trail mixes, ice cream, or an assortment of fresh and healthy fruit, we can help you keep your breakroom interesting. Through our unique automatic restocking and reordering programs, we are able to provide your business with a tailored snack service that fits your needs and budget. We also specialize in the distribution and delivery of hot and cold beverages, breakroom supplies, office supplies, cleaning supplies, shipping supplies, and more. Place an order online today or contact our friendly customer support team to learn more!